On January 22, the Boston Modern Orchestra Project presents the Boston premiere of Paul Moravec’s Brandenburg Gate as part of its winter program “The New Brandenburgs.” Music director Gil Rose conducts the concert at NEC’s Jordan Hall. 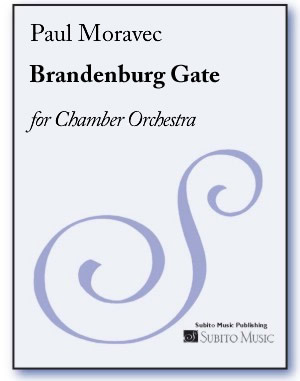 Commissioned in 2006 by the Orpheus Chamber Orchestra, Moravec’s Brandenburg Gate was part of the ensemble’s “New Brandenburg Project,” which set out to add to the chamber orchestra repertoire by asking six contemporary composers to write new works inspired by J.S. Bach’s original classic concertos. 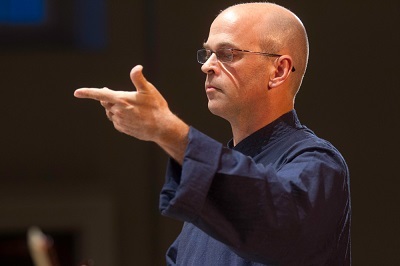 Upcoming: The Dallas Chamber Symphony performs the composer’s Chamber Symphony in February, and later in the season Moravec has two world premieres including the Bach Festival Society of Winter Park’s first performances of Music, Awake! in April, and the Minnesota Opera presents the composer’s newest opera The Shining in May.